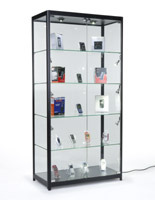 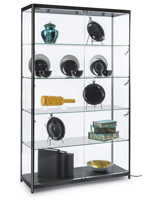 The full view lighted black showcase stands at 78” tall and 48” wide with a 16-1/2” shelf space. 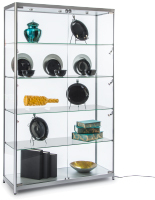 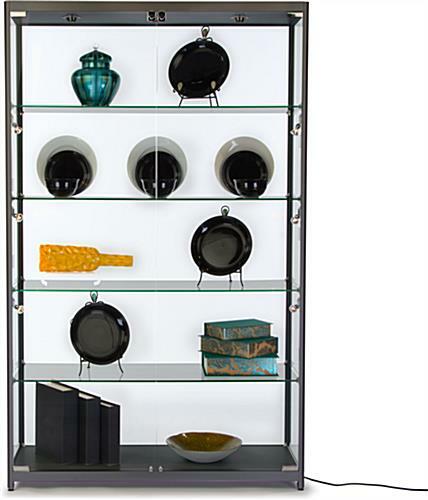 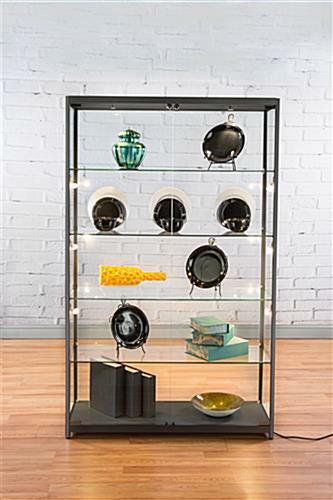 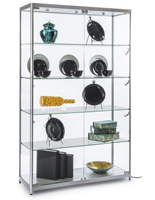 Architecturally styled as a contemporary cabinet for jewelry and other valuables, the unit is constructed of tempered green-edged glass, melamine, and framed in aluminum for durability and style. 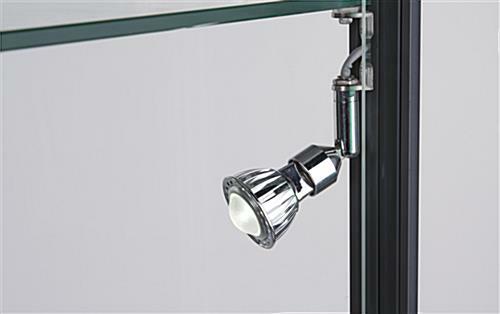 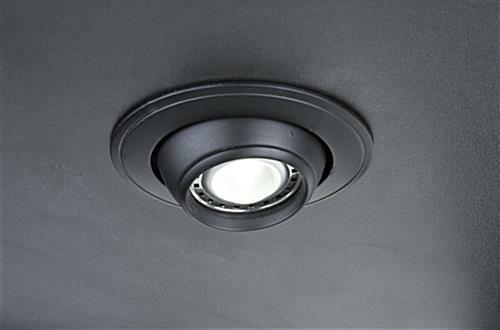 Illuminate the curio with the dynamic lighting inside of the locking showcase which includes (3) top and (6) side lights that swivel up and down for various shadowing effects. 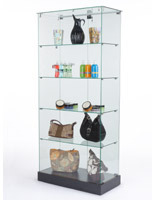 The double doors swing outward so access to contents inside of the display case is easy for employers. 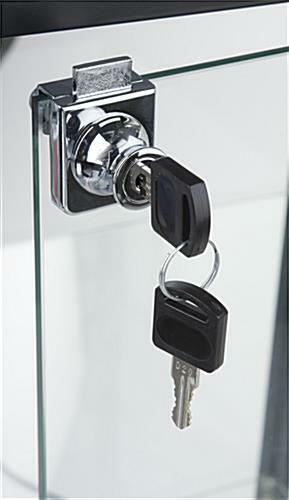 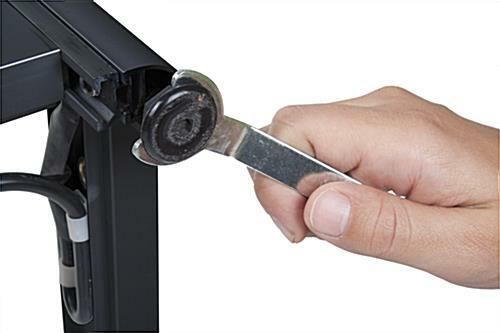 Lock the showcase for security with a high quality key lock that features sliding channels for the safety of jewelry and other valuables. 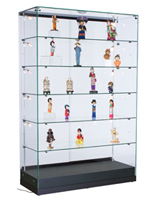 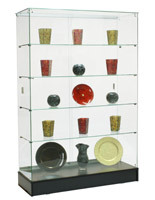 The freestanding cabinet with lights ships completely assembled to save you time and money! 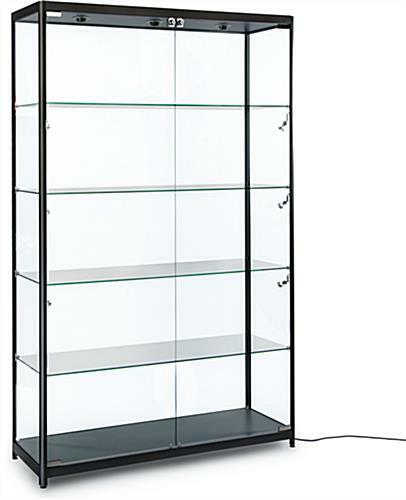 48.0" x 78.0" x 16.5"